Although body sprays and multiple shower heads have been a trend in bathroom luxury for several years, newer to the market are the digital control options offered by Moen. 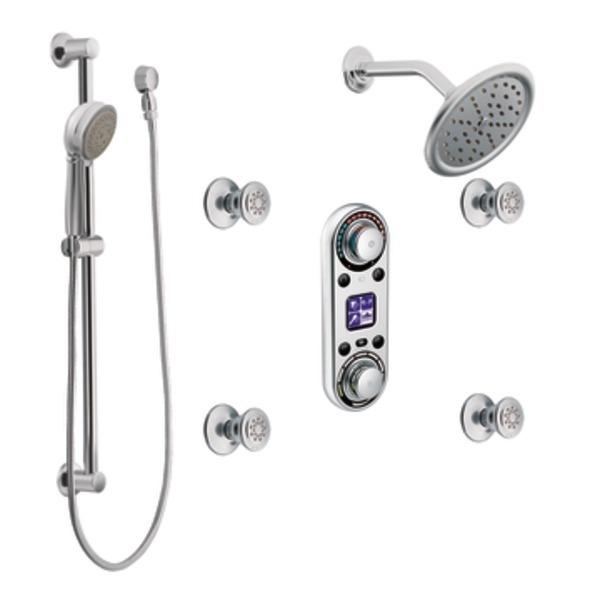 Their ioDIGITAL products feature a digital touchpad that is installed right in the shower. The screen shows you exactly what temperature your water is, and allows you to set the temperature for future showers. The pad also controls the shower heads and body sprays, allowing you complete control over which sprays are operating at any given time. An optional remote control allows you to turn your shower on before you even get through the door. Luxurious? You bet! But, over the past several years, I have noticed more homeowners opting for tricked-out showers instead of installing a large bathtub. The logic: they use a shower everyday, but only get a chance to use the tub occasionally – at best. Something to consider as you figure out the budget for your bathroom remodeling project. DTV by Kohler is another option for digital interface in the shower. From temperature adjustment to controlling the angle of the spray from shower heads and body sprays, this little digital pad does it all. It is designed for the ultimate in hydrotherapy and relaxation. In addition, you can set different “experiences” at the touch of a button, so you can create your favorite shower experience easily each and every time you shower. And, the rest of your family members can do the same, so everyone has the option to use the settings they like best. 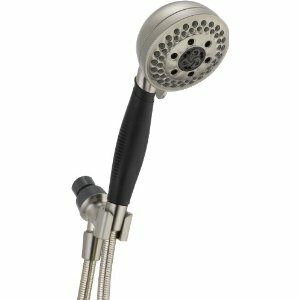 For a less-expensive option, check out Delta’s H2OKinetic shower heads. This technology is available on both single-function and multi-function shower heads, and it is intended to create the feeling of a lot of water while maintaining a low-flow status. With more people demanding water-saving plumbing fixtures, this product fits the bill beautifully. The spray pattern gives you the illusion of a luxurious, soaking shower, but you are actually using less water than many standard shower heads use. Technological advances certainly aren’t confined to the latest i-Phone or i-Pad. 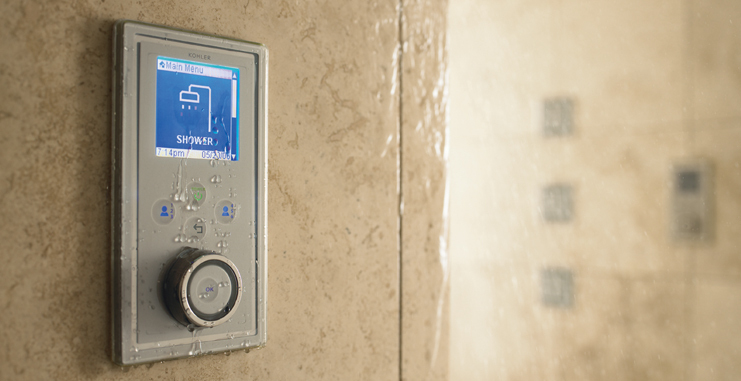 Even in something as mundane as a shower, technology can make the experience a whole lot more luxurious.